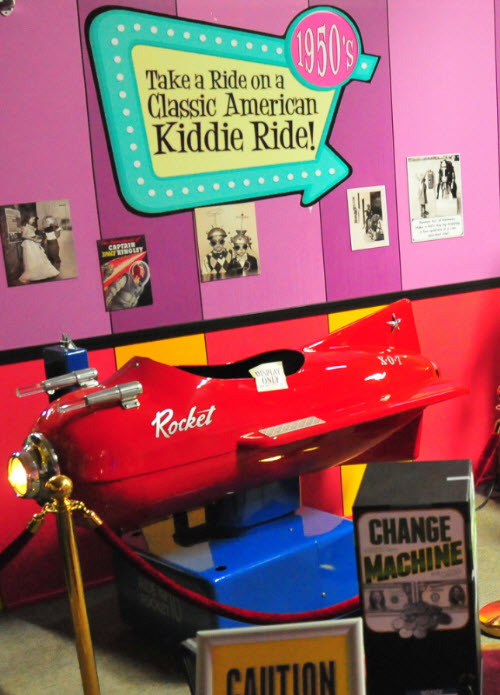 The largest public display of vintage kiddie rides from the 40's, 50's and 60's. 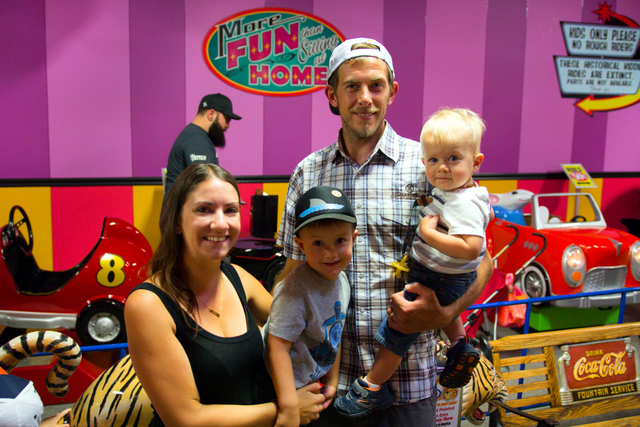 Moms and Dads, surely you remember the days when every store would lure you (and your parents) in with gleaming mechanical horses, rockets with promises of the moon, speed boats, race cars and anything else you could imagine riding. That was no coincidence, that’s what they were supposed to do. What wasn’t supposed to happen was to generate enough income to make them the fastest growing business of the 50’s! 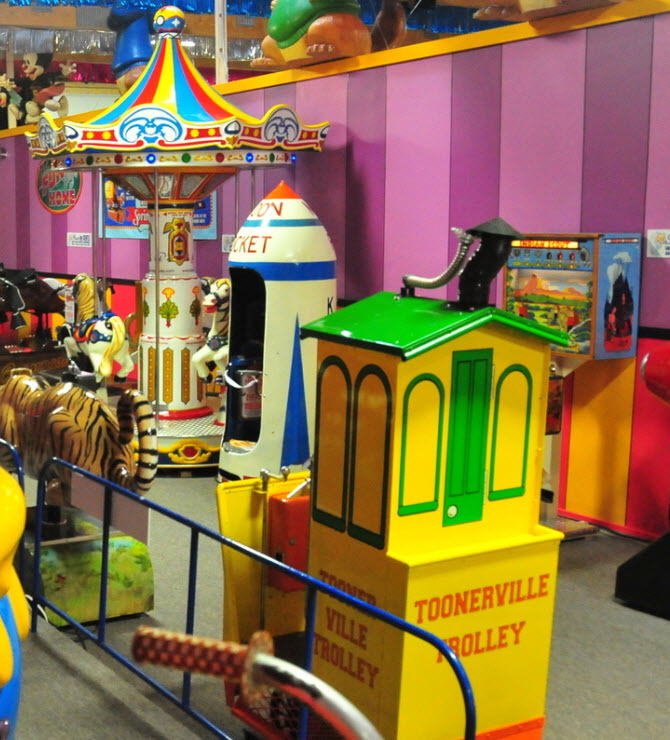 But because of daunting task of maintenance and lack of reliability, the life of the kiddie ride shortly faded. In 1953 there were over 20 manufacturers of these coin operated marvels in the US; today, there are none. These mechanical marvels are highly collectable amongst baby-boomers. Because of their rarity, value and undependability, most are in private collections only to be viewed by their owners and friends. 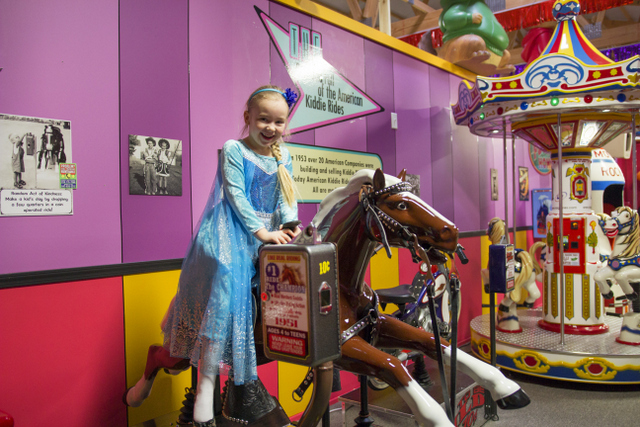 Our collection is the largest on public display, and not just for display, kids can actually ride most of them allowing you to share your childhood memories with your children or grandchildren. 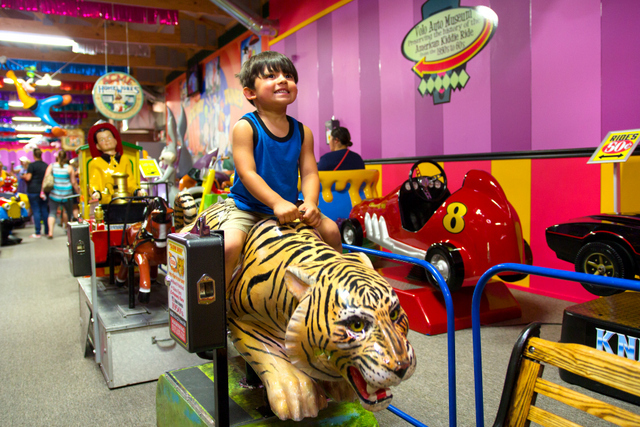 Many companies used Kiddie Rides to brand their business names, like this Esso Tiger, promoting the Esso brand gasoline. 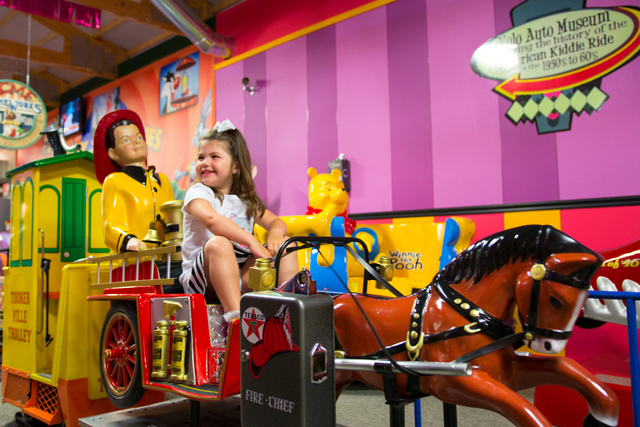 Much more fun than today's "Chinese Rockers"
Kiddie rides, like the Texaco Fire Chief, were much more fun to ride than todays machines. They had a lot more and faster movement. Many were even designed for teenagers. 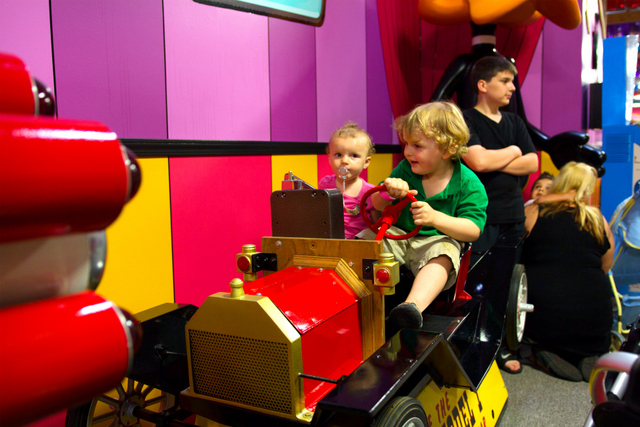 Let your kids imaginations soar! 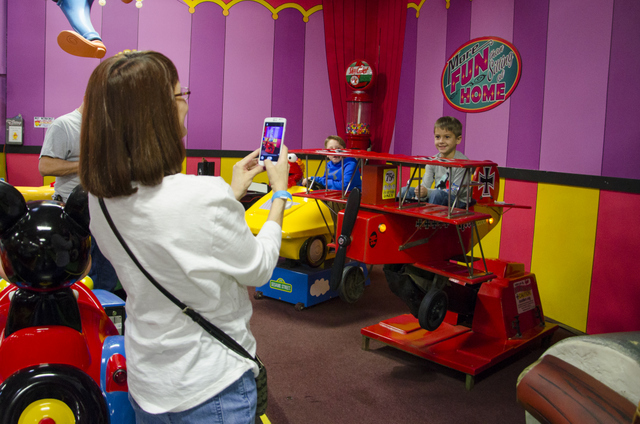 When your child is lifted into the air in this Red Baron air plane, they'll be on top of the world! Your children can test drive an old car! Have your kids ever asked for horseback riding lessons? 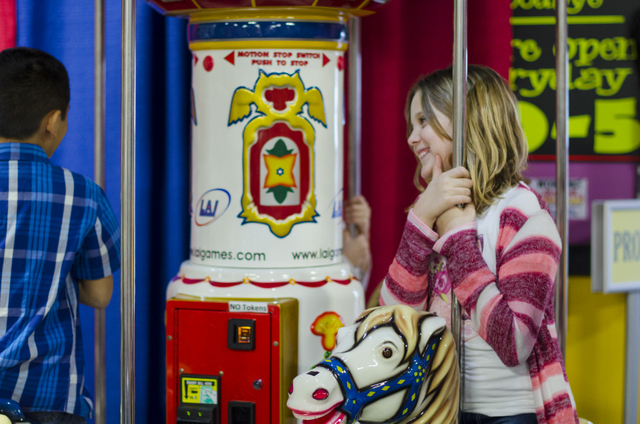 Kids can ride horses, elephants, tigers, camels and more! 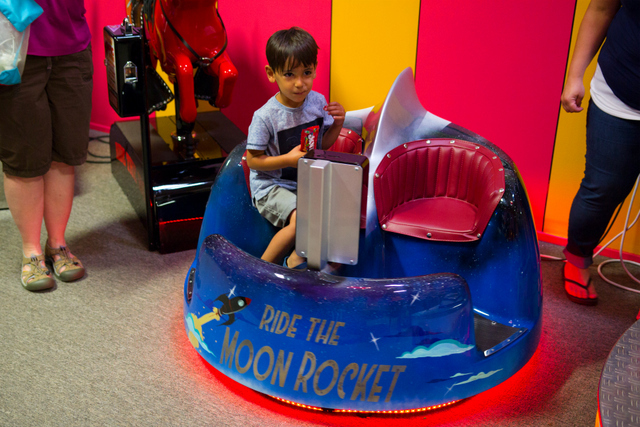 You and your bestie can ride a rocket to the moon! What's better than having fun? Sharing it with a friend.